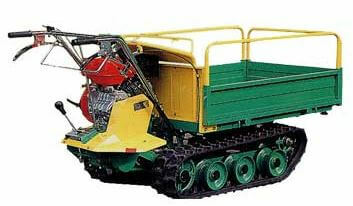 Kwok Tai Motor & Pump Company was established in 1997. 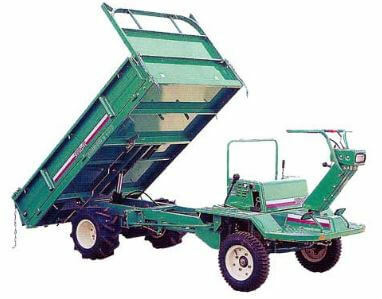 It appears to import and sell a wide range of goods including pumps, generators, gardening equipment, agriculture tools…and village vehicles (VVs) of both wheel and crawler type. The company’s address is G/F, Tai Fook Centre, 17 Kin Tak Street, Yuen Long with a retail outlet at G/F, 398 Reclamation Street, Mongkok. 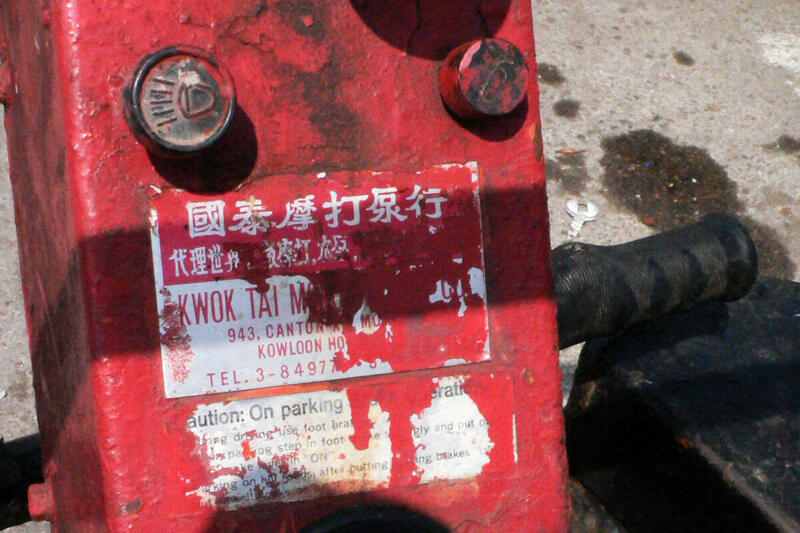 This photo, showing Kwok Tai, was taken by IDJ on Cheung Chau island in November 2015. He’d noticed that many village vehicles there still retain manufacturers or ID plates on their structures riveted on the chassis near or below the battery boxes or on the steering column. This article was first posted on 10th July 2016. Related Indhhk articles: Village Vehicles (VVs) – made where?